‘Tis the season when the most abundant food adjective is “pumpkin” or “pumpkin-spiced”, but most recipes you (or at least I) come across use pre-made pumpkin puree or pumpkin pie filling. 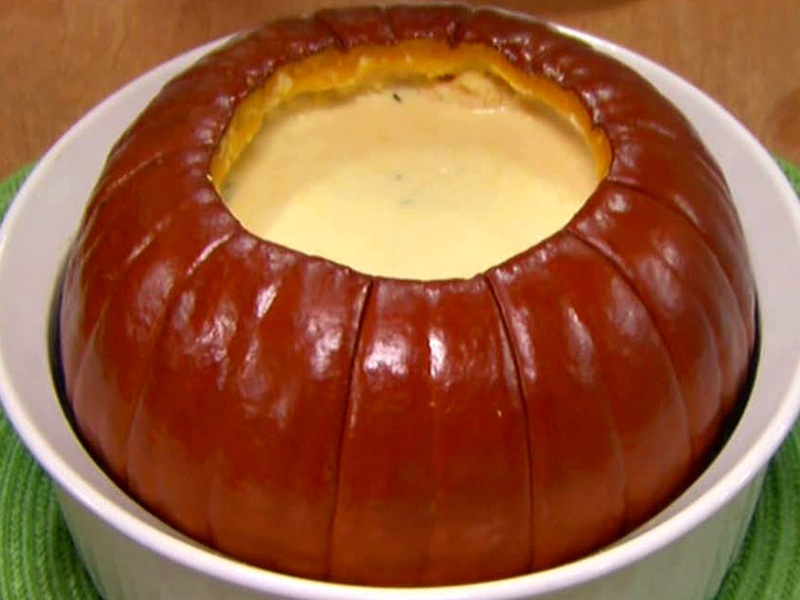 So what’s a girl (or guy) to do with a whole cooking pumpkin? The “hardest” part of this recipe appears to be scooping out the seeds (who hasn’t done that?). Bonus: you can also roast the seeds tossed with salt (if you like them plain), or with cinnamon, sugar, and nutmeg for a seasonal treat that packs a punch of zinc (suggested to reduce stress). Unlike the first recipe, you can roast your pumpkin whole, without the worry of tough-to-cut pumpkin combined with potentially-slick-sharp-knives. Once the pumpkin’s roasted, you can cut it and puree the flesh. 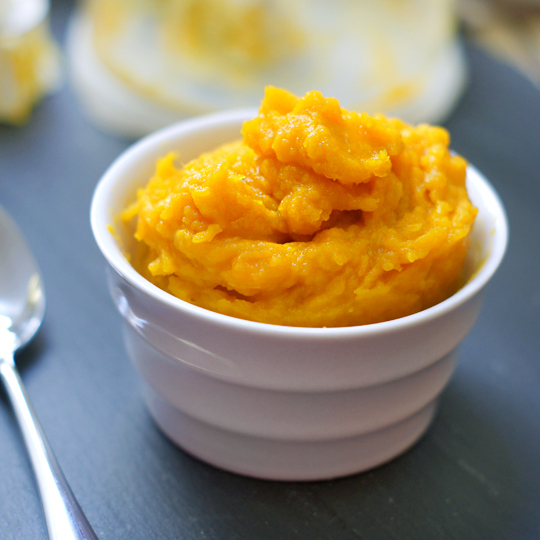 Use it like you would any other pumpkin puree (although, guaranteed, it’ll taste better and be healthier for you). This post also contains recipes for baby food, pumpkin bread, and dehydrated pumpkin-skin chips (all of which sound like excellent things to try)! Whole roast pumpkin plus a cheesy, seasonally appropriate “stuffing”?? Yes, please. This is yet another I plan on trying sometime soon– especially when we’re having guests! I know this post deviates a bit from the standard around here at The Little Red Kitchen, but hopefully this recipe roundup was helpful and/or inspiring to you! I know looking around for all of these great ideas certainly was for me. Thanks so much for including our gratin in your round-up. 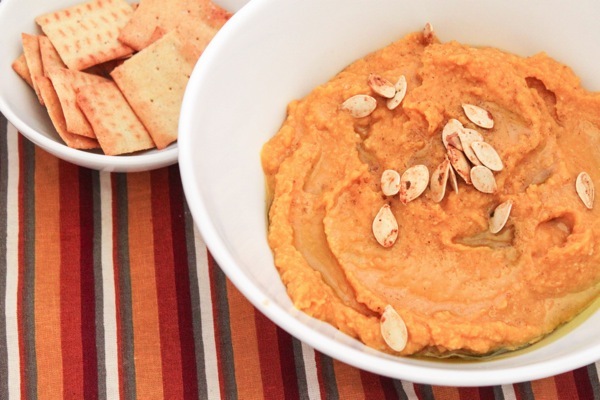 All the recipes look delish – need to try that pumpkin hummus! 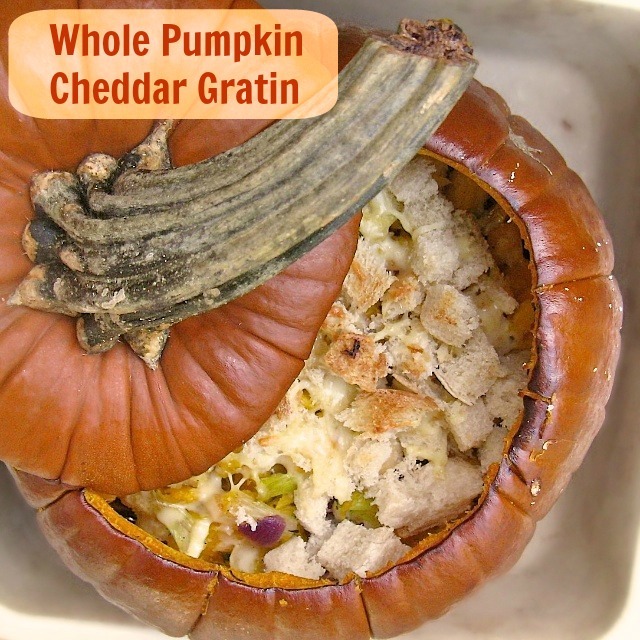 Thanks for including my Whole Pumpkin Cheddar Gratin!